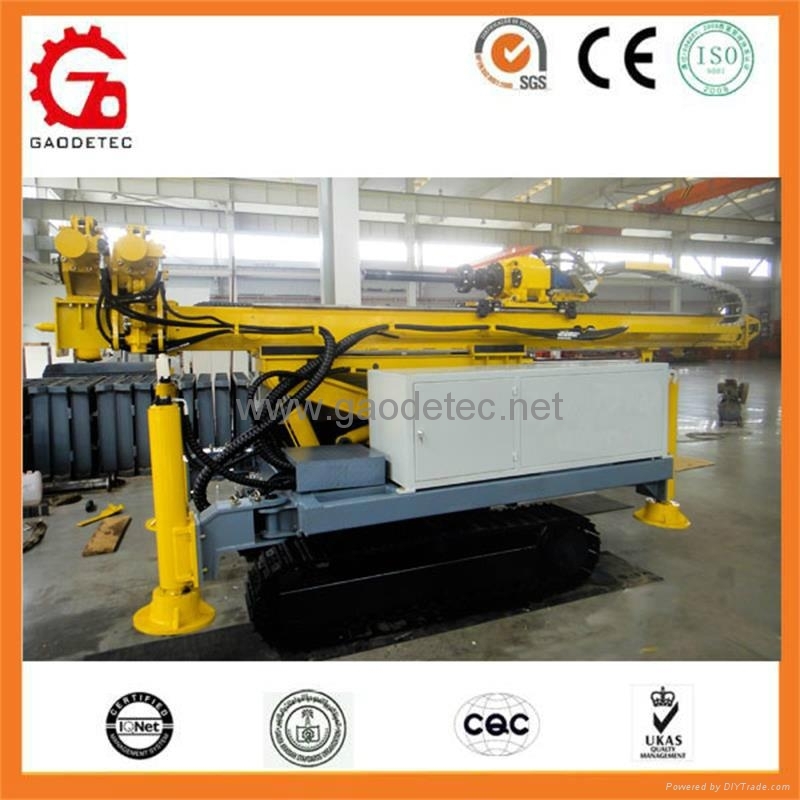 GL-4000 Crawler full hydraulic jet drill rig is a kind of multifunctional drilling rig designed and manufactured for jet grouting operation and anchor rod hole drilling. 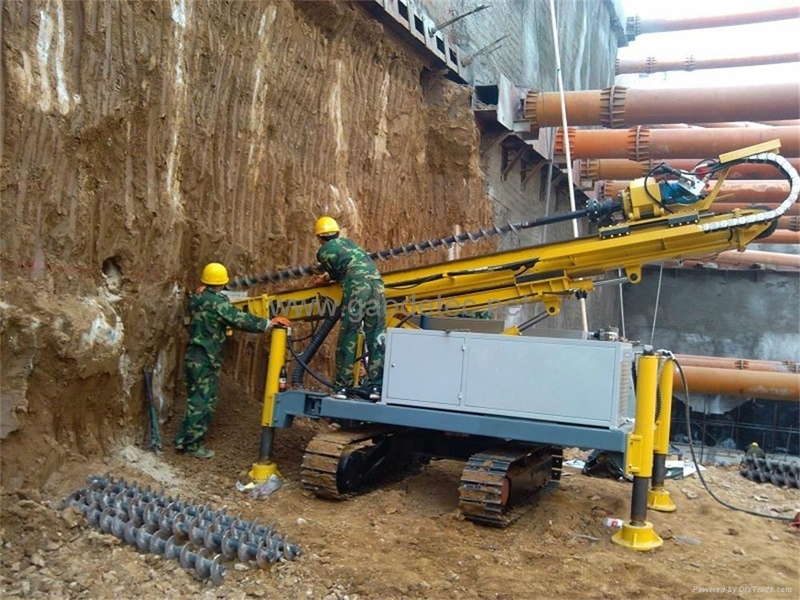 It can be used for the foundation consolidation of railway, highway, abutment, and dam foundation; tunnel pipe-shed support, foundation pit support, slope protection, anchor rod hole drilling, leaking stoppage, soft foundation treatment, geological disaster government, and jet grouting. 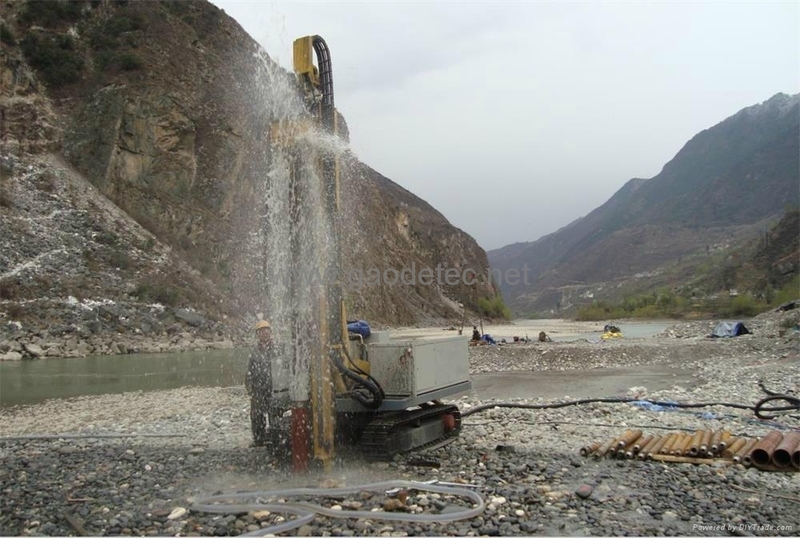 The upright is slide and meets the construction requirement of anchor rod. 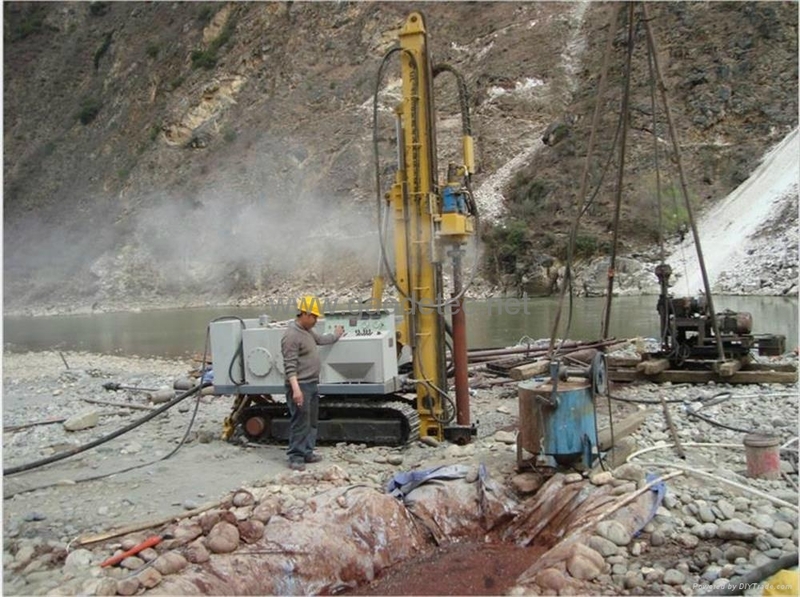 Drilling with casing tube could be completed by equipped with down hole hammer and overburden drilling system. faucet, alloy drilling core, funnel, casings, filling catheter, hammer head, core drill pipe, joint locks, single, double or three drill rods, high-pressure hose, single pipe deflectors, single-tube nozzles, etc.